B-Safe Pvc Corner Bumper - Set of 4 | White | Protect your little one from danger in the household. 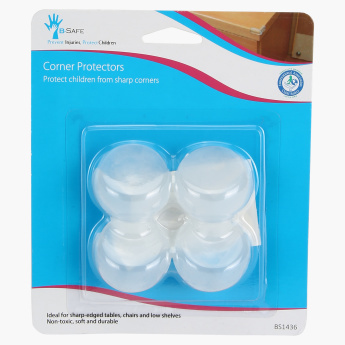 Protect your little one from getting hurt, while playing in the house by using these corner bumpers. These bumpers will easily fit onto any furniture and are soft in nature. Installation of these bumpers is easy.